National Military Museum – 1 min. Presidential Palace – 5 min. Botanical Garden – 5 min. Ceausescu’s Palace (Parliament Palace) – 20 min. Good value Romanian Restaurant – 5 min. 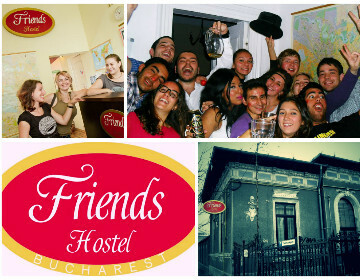 Bucharest Tips team has reviewd Friends Hostel - Hostels in Bucharest. You can get here description, reviews, address, map, phone, website of Friends Hostel in Bucharest. Visit Buchareset Tips for more Hostels in Bucharest!